Lindsey Caroline Kildrow Vonn (born October 18, 1984) is an American alpine ski racer with the U.S. Ski Team. She has won three consecutive overall World Cup and downhill championships (2008, 2009, 2010), the first American woman and third woman ever to accomplish this. Vonn won the gold medal in downhill at the 2010 Winter Olympics, the first ever in the event for an American woman. Vonn also won three consecutive World Cup season titles in Super G (the first American woman to do so), and two consecutive titles in the combined. Vonn is one of five women to have won World Cup races in all five disciplines of alpine skiing – Downhill, Super G, Giant slalom, Slalom, and Super combined – and, as of December 7 2011, has won 46 World Cup races in her career. With her Olympic gold and bronze medals, two World Championship gold medals in 2009 (plus three silver medals in 2007 / 2011), and three overall World Cup titles, Vonn has become the most successful American skier in the history of alpine skiing. Only two female skiers have reached more World Cup victories in their careers: Austrian Annemarie Moser-Pröll 62, and Swiss Vreni Schneider 55 – both retired from active racing. Vonn received the Laureus World Sports Awards Sportswoman of the Year for 2010. She was also honored again as the USOC's sportswoman of the year for 2010. Artem Chigvintsev (born June 12, 1982) is a Russian professional dancer, born at Izhevsk, Udmurt Republic, RSFSR, Soviet Union, specialising in Latin dancing. He moved to the United States in 2003, and began dancing with champion ballroom dancer Giselle Peacock, who became his wife. The couple separated eight months later when he auditioned to appear as a contestant on the first series of So You Think You Can Dance. 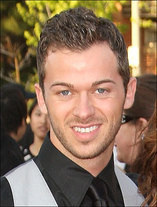 Chigvintsev was eliminated alongside his fellow contestant Melissa Vella, and became an assistant choreographer for season two. Chigvintsev joined the cast of Burn The Floor. He performed both on Broadway and more recently in the West End. In September 2010, Chigvintsev joined Strictly Come Dancing season 8 as a professional dancer, where he was partnered with actress Kara Tointon. The pair achieved good scores in the first five weeks of 30, 32, 31, 32, and 37. In week 5, they were awarded the first 10 of the series by Alesha Dixon for their Paso Doble. In week 6 they were top of the leaderboard with their Salsa. They also had good scores for the next five weeks of 36, 38, 35, 34, and 38. In week 11, they got their highest score of 39 for the Viennese Waltz and Rumba and got the maximum 5/5 for the swing-a-thon. Chigvintsev and Tointon made it to the final along with Matt Baker and Pamela Stephenson. The pair went on to win the competition, beating Matt Baker and his partner Aliona Vilani into second place to be crowned series champions for 2010 . Chigvintsev is one of three professionals to win the series as a first time Strictly pro. After their victory it was announced by Tointon that she and Chigvintsev were a couple. In 2011's Strictly Come Dancing season 9 Chigvintsev was partnered with Holly Valance. He and Valance made it to Week 11, the Semi-Finals, before being eliminated. Artem's previous DWTSGame partners include: Maya Rudolph and Helen Mirren.